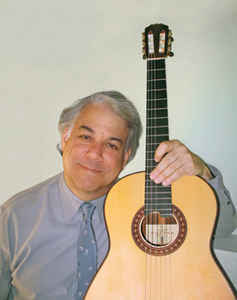 Bargemusic’s weekend begins Friday evening, June 29 at 8:00 with classical guitarist David Starobin (photo) playing works by Fernando Sor, Francesco Molino, Giulio Regondi, Mauro Giuliani, and Wenzeslaus Matiegka. On Saturday evening, June 30 at 6:00 and again at 8:00, violinist Mark Peskanov, cellist Evan Drachman, and pianist Doris Stevenson will perform works by Beethoven and Arensky. On Sunday afternoon, July 1 at 4:00, pianist Jeffrey Biegel will play works by Mozart and Chopin. There are details for each concert and you may buy tickets here.